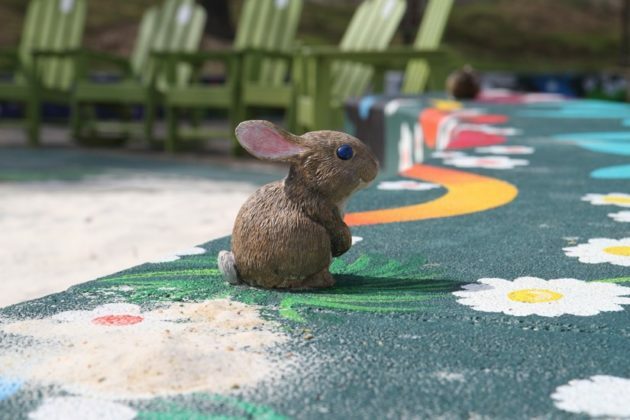 The Rosslyn sandbox is back open for the season, after it debuted last year. 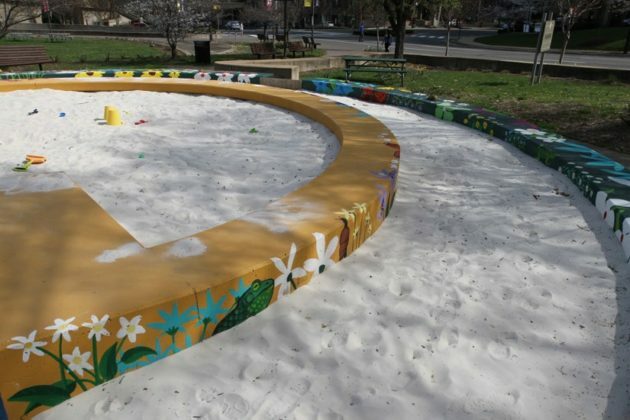 The children’s sand play area is located in Gateway Park (1300 Lee Highway), in what used to be a fountain. 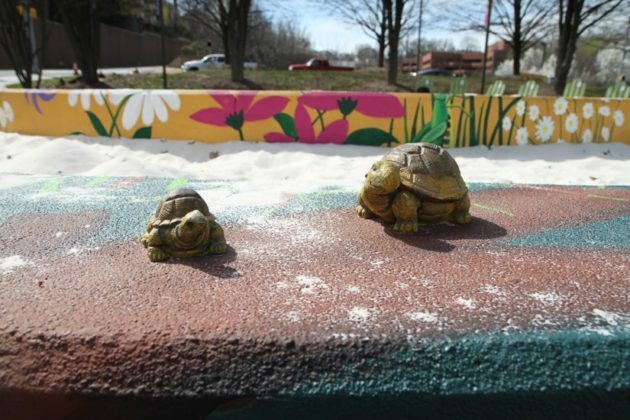 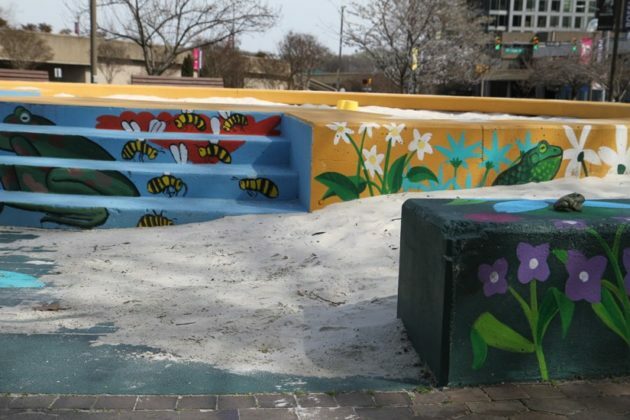 The former fountain is now filled with white sand, painted with colorful designs by local artists and decorated with small stone figures of woodland creatures. 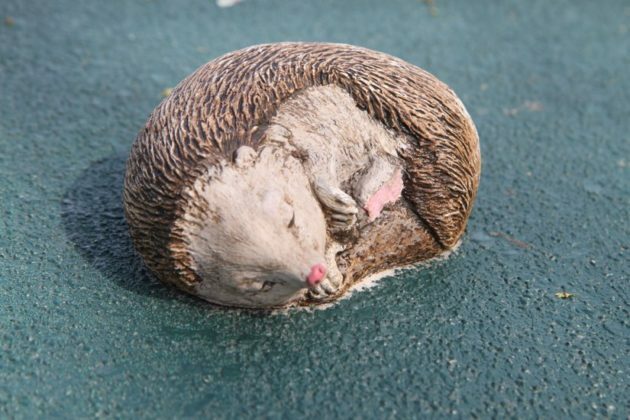 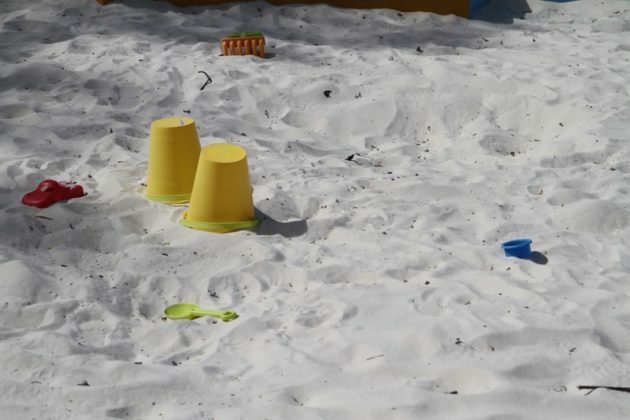 The sandbox has been stocked with plastic pails, shovels and other communal toys. 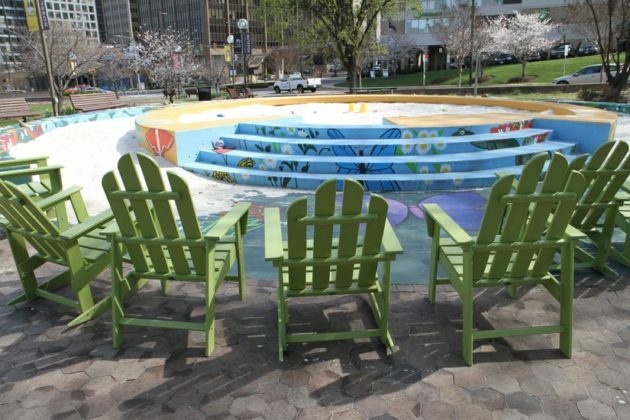 There are also adirondack chairs around the play area for parents and caregivers.